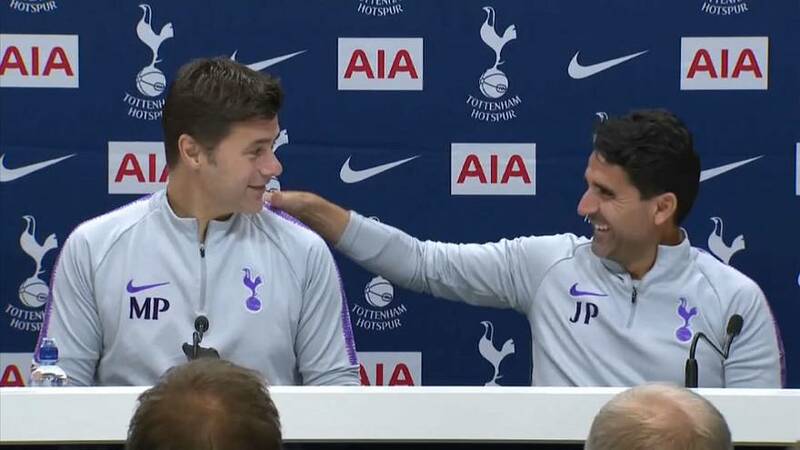 This is the moment Spurs manager Mauricio Pochettino kept the press waiting to wish his loyal assistant a happy birthday. Pochettino began his news conference on Friday (October 5) by turning to Jesus Perez and marking his special day. Instead of singing anything, he took out his smartphone and played the tune Happy Birthday as he looked affectionately at Perez. After the song finished Pochettino and the onlooking journalists applauded Perez, who has worked on the Spaniard’s coaching staff at Espanyol, Southampton and most recently in North London. But Perez, who shared a hug with Pochettino after the tribute, remained tight-lipped on how old he was, quipping: “Forty-few”.